Luigi Di Fraia has added more functionality to his IECHost device. 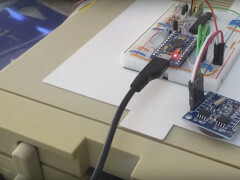 With this device you can connect a Commodore IEC disk drive via USB to a PC. This time he added 40-tracks support.